We put out a great little video on coupon, cash back portal and gift card stacking the other day Online Arbitrage Tutorial: Stacking Tutorial so we wanted to follow up with a real life example of how you can really put it to use for some big savings. The other way I attack these deals are I try to get my FINAL after coupon cost as close to $50 as possible because Kohls gives you $10 Kohls cash for every $50 in spend ( 20% back) during these sales. Note that the Kohls cash offer ends on 2/18/16 so you want to make your buys before then. Then what I do is I buy $81.43 (or slightly more) worth of stuff with at least $30 in the baby/maternity category and stack the 30% and $10 coupons. Final cost at checkout is exactly $50, but I’d be getting $3 back via Ebates and $12.50 back via Kohls Cash ($10 for spending $50 and $2.50 from Y2R). If you value Kohls cash at $1 you bring your total buy cost down to $34.50 for $81.43 in goods. Which is a $46.93 in savings or 57.6%. Now I can certainly understand the debate that Kohls cash is not worth $1 or shouldn’t be factored into your buy decision. Personally, I value all buys with and without cash back options to determine what works best for my model. And I’d recommend you do what makes most sense for your business model. We will have a post next week to show you how to make the best use out of your Kohls cash that will help ensure you get much more than a $1 return! The savings rate is slightly lower with this approach plus you are relying on more Kohls cash as part of your “cash” back to increase your savings rate. However, I prefer these buys as I can do 5 orders, spending $250 and get over $500 in goods. In the other example, I’m just spending $14 an order so my total spend is only $70. Ultimately, if you are looking to start slow you may prefer the $14 buy approach. Or you do a mixture of both type of buys. If you don’t have a Kohls charge you then want to stack the 15% off coupon with discount gift cards. 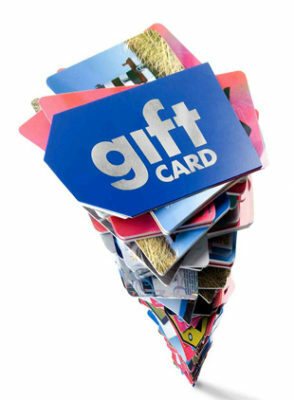 You can regularly find discounted gift cards at Raise for 15% or more which can lead to larger savings rates then the use of the Kohls card. When there isn’t a drastic difference between savings, I always prefer the Kohls charge as I feel its less hassle, but I wouldn’t shy away from using Kohls gift card to make my buys. Well now that you know how to get your savings rate to over 50% you need to get over to Kohls.com and start looking for some offers. Hard not to find at least a few winners when you are getting over 50% off! If you don’t want to manually search for deals, OAXray supports Kohls and is a great tool to speed up your process. With one click, you’ll get a color coded spreadsheet with ROI, Net Profit, Sales Rank, and much more to help you make buying decisions for up to a 120 items at a time. If you aren’t currently an OAXray user, they offer a 3 day free trial to check out their software. However, we got a special link for our readers that will extend the free trial to 6 days. Please note you will need to sign up for a recurring paypal payment to get the free trial so if you don’t plan to keep it beyond the trial make sure you cancel it prior to the 6th day. Here is your OAXray 6 day free trial link. Kohl’s is NOT reseller friendly. I never use a Prep company, I keep my purchases below $500 (usually below $100 based on tricks noted above) and typically don’t buy more than 5 of an item in a single order. I also don’t do more than 4 to 5 orders over a two day period. I know many people have had success ordering much larger quantities, but this has worked well for me. This entry was posted in FBA Training, Fulfillment by Amazon (FBA), General Business / Other, Online Arbitrage and tagged Cash Back, Coupons, Discounts, FBA, Fulfillment by Amazon, Gift Card Stacking, Gift Cards, Kohls, OA, OA Training, Online Arbitrage, training. Bookmark the permalink.